Cinderella, our most regal and elegant princess, values kindness, patience, and timeliness. She loves to dance, sing, and play games. Inviting Cinderella to your ball will result in enchanting memories that last much past midnight. The Ice Queen commands not only solidified water but also lots of fun! The Ice Queen loves to tell stories, sing with the kids, and play games like Freeze and Pin the Nose on the Snowman. Our favorite dreamer, Princess Rapunzel, values creativity, courage, and following dreams. She loves to do crafts, find her hiding friends, and dance! Any day with Rapunzel is the best day ever. Ballerina Hannah teaches grace, fun, and beauty through dancing! A lesson with Ballerina Hannah will end in a small routine, some new dance vocabulary, and memories that will last a lifetime. 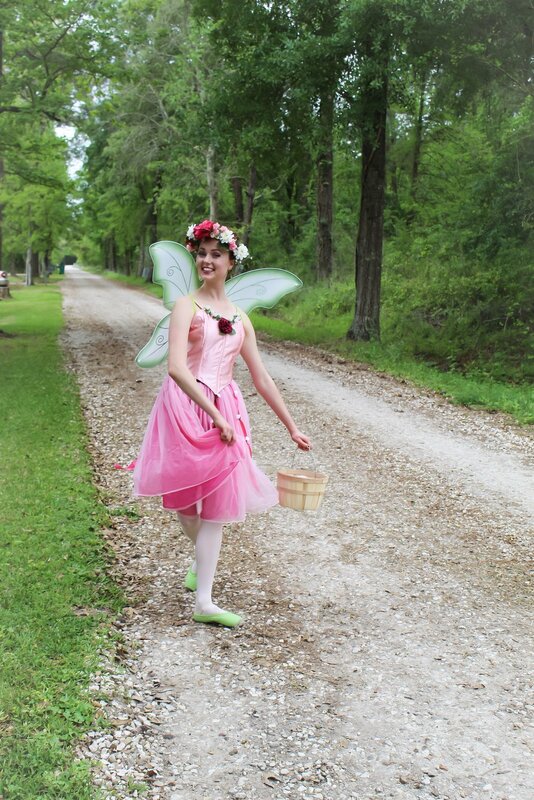 Primrose the Pixie brings light and giddiness wherever she goes! She loves to dance, make woodland crafts, and tell stories of her fairy friends. Fly away with Primrose for a magical day. It is not the intention of Magical Moments to imitate copyrighted, trademarked, or licensed characters. We take care to portray public domain characters uniquely and with a touch of magic. We are not affiliated with the Walt Disney Company. If you desire a copyrighted character, please contact the respective company. We only accept bookings from customers who are aware that we do not portray licensed characters.